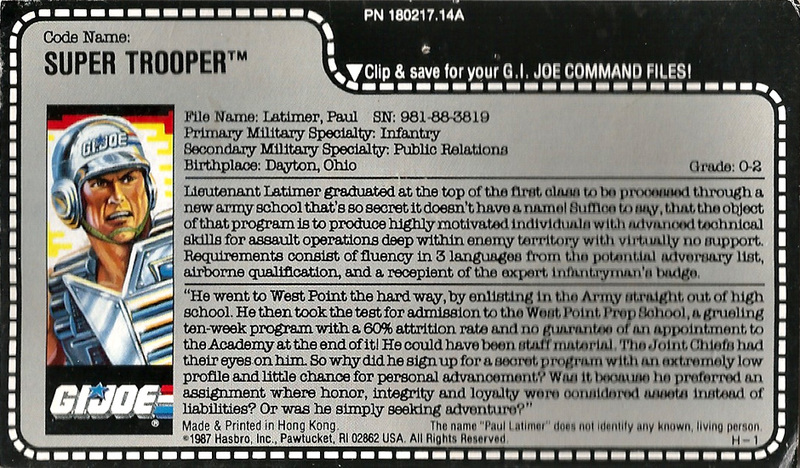 Super Trooper was available as a mail-in offer in 1988. Some 1988 figures had a Super Trooper sticker on the card and a small mail-in offer insert. This two sided insert was included with some 1988 figures (ex. seen here). A television ad supported the promotion (see below).